Update: the Daily Mail covers our story here. It seems that Britain’s Cambridge University hasn’t learned anything from the London School of Economics (LSE). The LSE was red faced in 2011 when it was revealed that they had received millions from the Gadhafi regime. The scandal led to a resignation of the LSE’s director Howard Davis, and an independent investigation from a former Lord Chief Justice, Lord Wolf. Now we note that Cambridge University has developed its own questionable links with Ukraine. Since 2008 the prestigious training ground of the British elite has been receiving generous donations from Dmytro Firtash, a Ukrainian oligarch and backer of ousted president Yanukovych. Firtash was recently arrested in Vienna on an international arrest warrant at the request of the FBI. 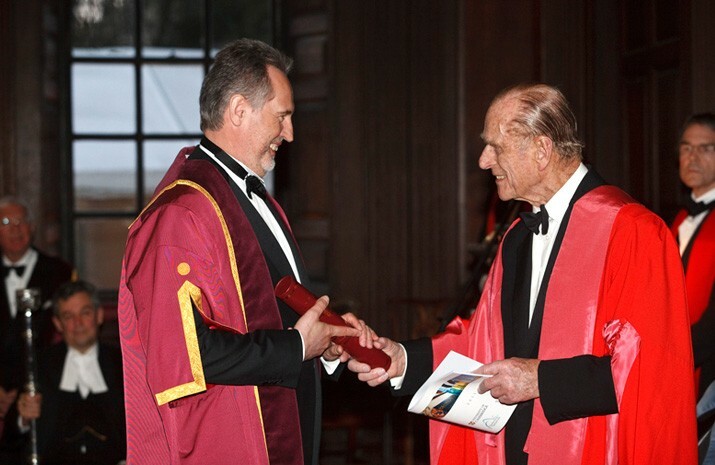 The generous support given by Mr Firtash earned him the honor of being invited to join the University’s prestigious Guild of Benefactors in a ceremony presided over by Prince Philip. Firtash has been under investigation by the FBI since 2006 over corruption charges and is accused of having “formed a criminal organization”. He made his money in Ukraine’s oil and gas industry and was known to be close to Putin. He is co-owner of RosUkrEnergo, which was once the Ukraine’s sole importer of Russian Gas. A US diplomat described RosUkrEnergo in 2009 as “a cash cow and a serious source of corruption and political patronage”. Firtash kept some interesting company. He apparently acknowledged to the US Ambassador in Ukraine that he once had ties to Seymon Mogilevich, a known Russian gangster on the FBI’s ten most wanted list. He also has close business ties with Sergey Levochkin, who is wanted in Ukraine on charges of mass murder. One of the findings of the Wolf Report on the LSE’s scandal was that the university had not conducted any due diligence on its relationship with Libya. Could the same be true about Cambridge University and their own Ukrainian connection? All of which just underlines the point about Offshore Britain and its willingness to cower in obsequious terror before the world’s questionable and dirty money.